In huge news, I’ve been invited to talk at the Melbourne Writers Festival (which I’m told is quite rare for genre writers). I’ll be in conversation with none other than the legendary Terry Hayes (writer of Mad Max 2, Dead Calm, et al) about the contribution of cinema to an “Australian Gothic”. I’m absolutely thrilled at the opportunity, and hope it’s well-attended (they have us in the main cinema at ACMI in Fed Square!). Will be a lot of fun. Even better is that I get a free pass to any (not sold out) session at the MWF, something I’ve certainly never had the fortune to experience before. Will be a heady week. Successful and controversial Australian films Wolf Creek, Mad Max and Dead Calm have exposed the real and imagined dark side of our nation. Screenwriter/novelists Aaron Sterns and Terry Hayes discuss the role of cinema in creating an Australian Gothic. In conversation with Richard Watts. I Am Pilgrim is his first novel. He and his American wife – Kristen – have four children and live in Switzerland. Equally comfortable in both fiction and film, Aaron Sterns has worked in the horror field for over twenty years. He is not only the co-writer of Wolf Creek 2, winner of Best Screenplay at the Madrid International Fantastic Film Festival, but also author of prequel novel Wolf Creek: Origin, described as ‘one of the best serial killer novels out there [‘] destined to be considered a classic in future years’. 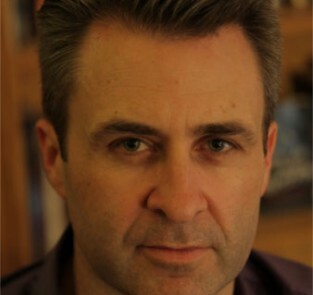 Sterns is the author of various Aurealis Award-nominated and Year’s Best Fantasy & Horror recommended short stories, including The Third Rail (from the World Fantasy Award-winning Dreaming Down-Under) and the dark werewolf-bouncer world of Watchmen (the basis for his vicious and visceral upcoming novel Blood). He is a former lecturer in Gothic & Subversive Fiction, editor of The Journal of the Australian Horror Writers and Ph.D. student in postmodern horror. He also served as script-editor on Greg McLean’s Rogue and appeared in a little cameo as Bazza’s Mate in Wolf Creek. Sterns is currently working on another novel and a multitude of screenplays, including a film version of Blood. He lives in Melbourne with his fiancee and the third of the ‘Wolf Creek babies’. 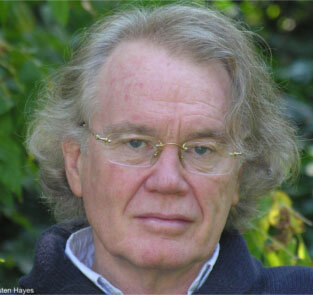 Richard Watts is a Melbourne-based arts writer and broadcaster. He presents the weekly program SmartArts on 3RRR and is a staff writer for ArtsHub, as well as a member of the Green Room Awards Association’s Independent Theatre panel. 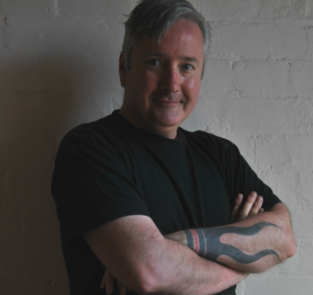 Richard currently serves on the boards of La Mama Theatre and the literary journal Going Down Swinging, and was previously the Chair of Melbourne Fringe. He is a life member of the Melbourne Queer Film Festival, and the founder of the Emerging Writers’ Festival.